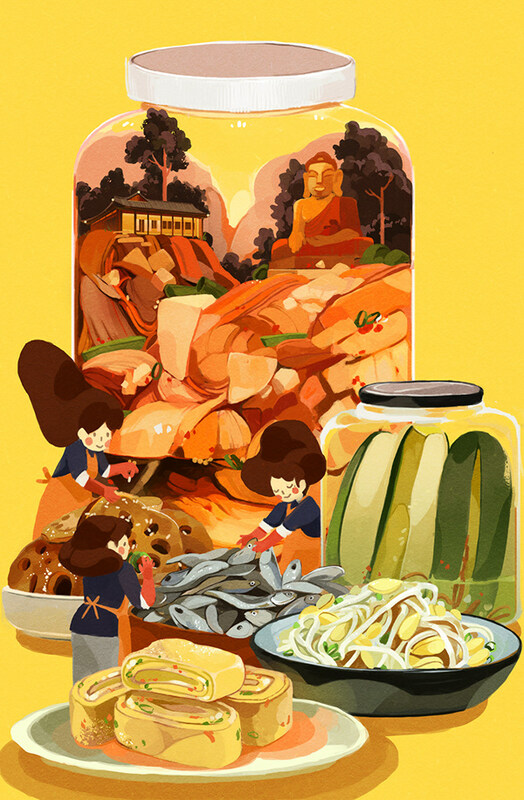 Illustration featuring banchan (Korean side dishes) for AAPI Food Anthology, an illustration & writing publication by Asian and Asian Pacific Islander creators to promote education on the diverse histories behind AAPI foods. 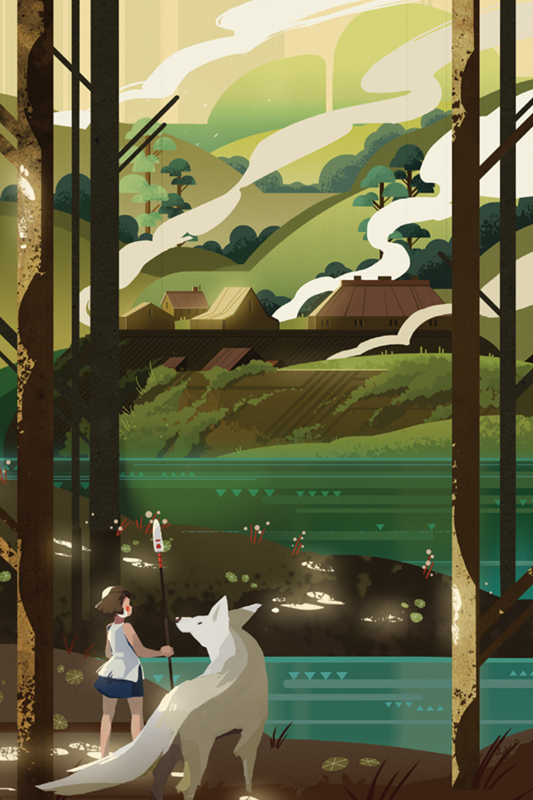 Illustration for Ghibli zine, featuring Princess Mononoke, proceeds donated to environmental charities. 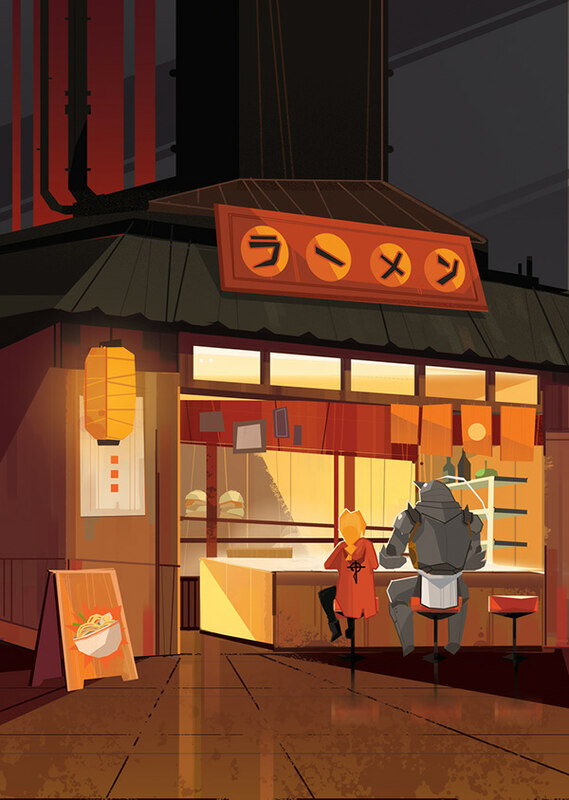 Illustration for Fullmetal Alchemist Anthology, proceeds donated to charity. 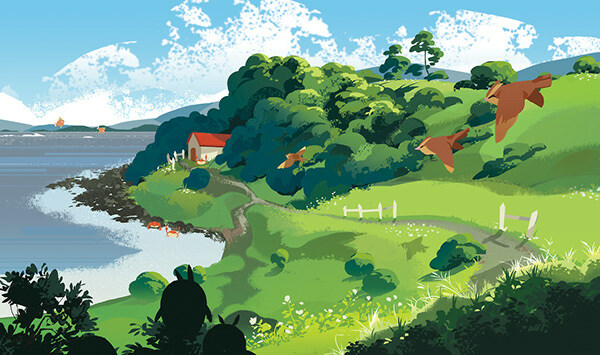 Illustration for Pokemon Traveler zine, featuring landscapes based off the routes in the Pokemon games. 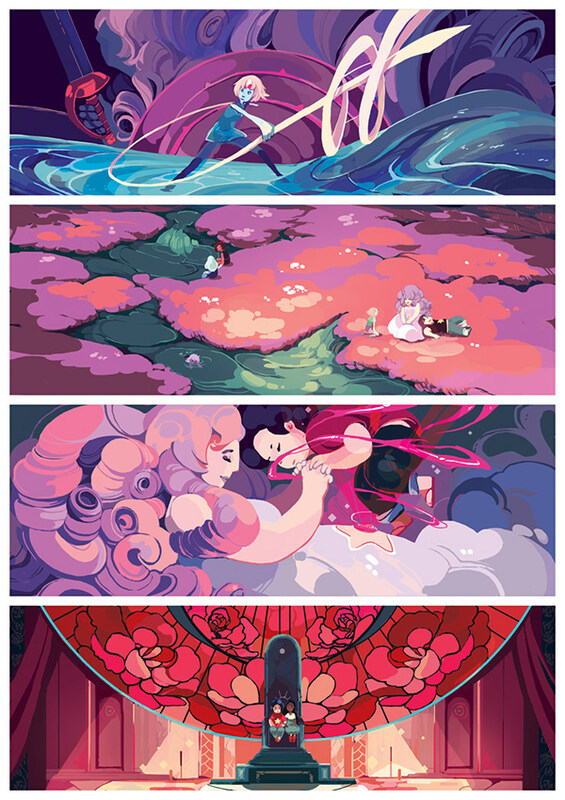 Illustration for Crystal Gem Zine, proceeds donated to charity. 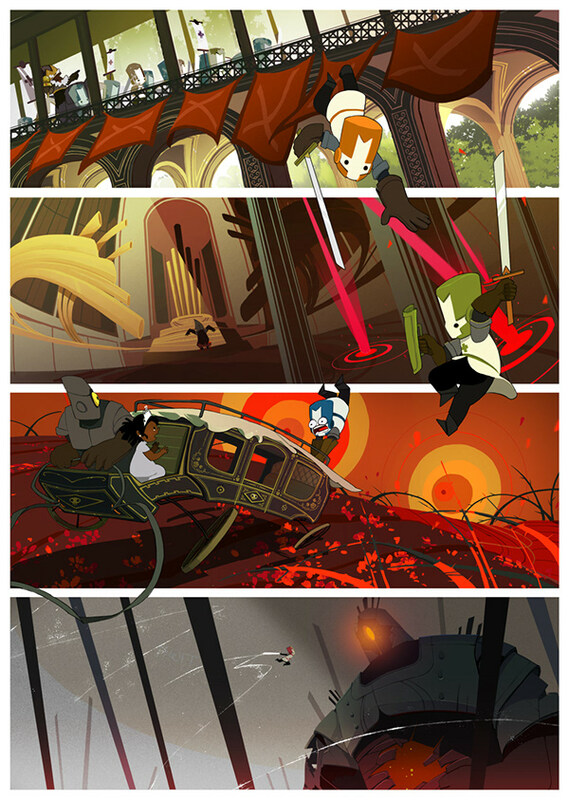 Illustration for Indie G Zine, featuring Castle Crashers, published by Fangamer.